Drug Detox is a process through which a body clears itself of any accumulated toxins which are produced due to substance abuse. It is a process which can counter undesirable or noxious outcomes of immediate discontinuation of substance use, and at the same time, assists a person in controlling themselves from further substance use. Often, it is regarded as a primary step of an extensive rehabilitation program designed for complete recovery of patients suffering from substance abuse. Abrupt discontinuation of any drug by a person, who has developed an addiction for the same drug, and beginning the process of the removal of hazardous toxin from his/her body can give rise to psychological and physical withdrawal symptoms. These may include anxiety, depression, seizures, palpitation and unstable blood pressure, dehydration and vomiting, among others. Hence, it is recommended to consult a medical professional before starting with any drug detox method. Why Drug Detox is Important? Whether it is recreational, over-the-counter or prescription drugs, its long-term use can lead to the accumulation of toxins in various body parts. In a few cases, these accumulated toxins tend to make the person develop an addiction to these substances. So, to recover from their addiction and to eliminate the toxins from the body, drug detoxification is necessary. While severe cases of drug addiction require inpatient drug rehabilitation intervention, mild to moderate addiction can be effectively treated at home. Nevertheless, self-motivation is always the key to success of any drug detoxification process, whether carried out at a rehab center using medicines or at home with natural ways. Liquid Cleansing: Consuming ample amount of water, around 10-12 glasses a day, assists a patient’s kidney and liver to expel out toxins out of the body. Other fluids like herbal, and cranberry juice and other fruit juices have also been known to be beneficial for throwing out toxins from the body. Ginger Tea: Sipping on a cup of ginger tea each day can help detoxify the body. Gingerol, an active compound present in ginger, promote sweating and thus, aids in the elimination of drug residues via the skin. To prepare this, you just need to boil a half-inch section of fresh ginger in water. To this, add a small amount of honey and drink. De-caffeinated herbal teas, especially green tea, are also known for their detoxification properties. Lemon Water: Drinking three to four glass of lemon water a day is also advantageous as the acid content in lemon helps in the purification process. Hot Baths: Hot water baths help remove toxins from the body. Adding Epsom salt in water for bath triggers sweating. When added in water, Epsom salt cleanses colon and simultaneously, relieves stress. 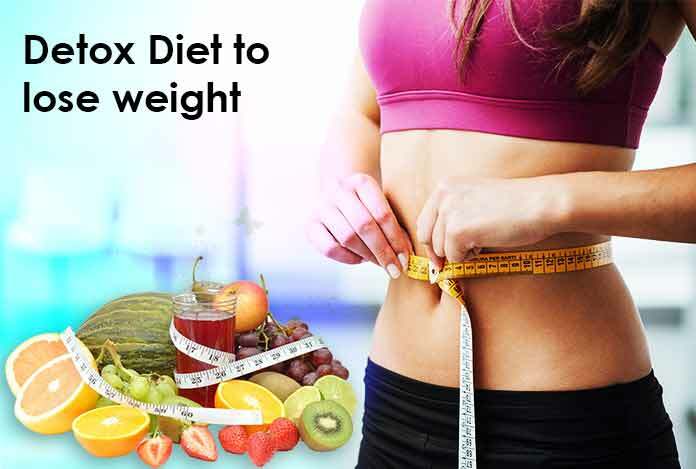 Diet: Consuming loads of vegetables and fruits also boosts the detoxifying process as they provide essential fibers and vitamins that facilitate bowel movement and assist in detoxification. Workout: Cardiovascular exercises, such as running, biking, swimming, jogging, aerobics are also suggested to be done for a minimum duration of half an hour. This is because the more a person will sweat, higher would be the release of drug residues via skin in the form of sweat. These workouts support normal functioning of kidneys, liver and other vital organs. Yoga and stretching exercises also assist the detoxification process. Herbs: Some of the herbs like dandelion, licorice root, garlic and black walnut can also expel toxins from the body. To avail maximum benefits, patients should include these herbs in their regular diets. Juice Detox: Choose juice detox as it helps remove toxins from the body without exerting any pressure on the intestine. Fruit and vegetable juice are rich in vitamins and minerals that help addict counter withdrawal symptoms and detoxify the body. Skin Cleansing: Cleansing the skin using natural skin-care products can wipe out harmful toxins via the pores of the skin. Dry skin brushing is another way that can be opted to open the pores of the skin by clearing off dead skin cells. Massages are also known to boost the lymphatic system and help wipe out toxic wastes. Though drug detoxification is a primary, yet essential component of a comprehensive drug rehabilitation intervention, friend and family support is crucial to live drug free. However, it is always recommended to seek expert advice before opting for any drug detoxification method. This is because, an expert analyzes your confidence and self-motivation levels as well as the severity of the condition and thus, help you make better choices for complete and speedy recovery. A licensed cosmetologist, Amy has been running a well-established beauty and skin clinic in her locality for more than 15 years. While she personally supports natural ways of staying beautiful, she equally emphasizes the modern-day need of cosmetic treatments; considering urban lifestyle and prevailing environmental conditions in today’s world. She writes about aging prevention, anti-aging treatments, skin care and skin-friendly diets and supplements.